Gable Vents are used for air intake or exhaust applications in the attic of a home. 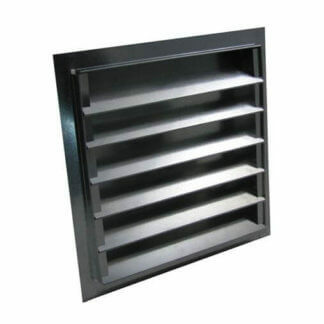 The FAMCO louvered gable vents are available in a variety of louver and transition configurations. The GVGF (flush mount) has the flange on the front of the gable vent. The GVGR (recessed mount) has the flange installed ¾ of an inch back from the front of the vent. The GVGFOB has the flange mounted on the back of the vent. The (GVT) has a round transition on the back of the vent for hard or flex pipe connections and the flange mounted on the front of the vent for a flush mounting application. 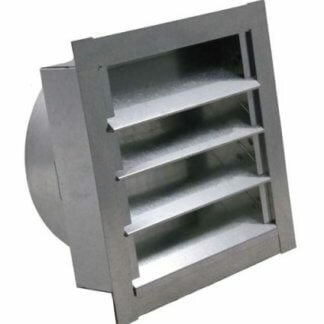 The FAMCO louvered gable vents have a large mounting flange and ⅛ inch insect screen installed on the back of the vent. 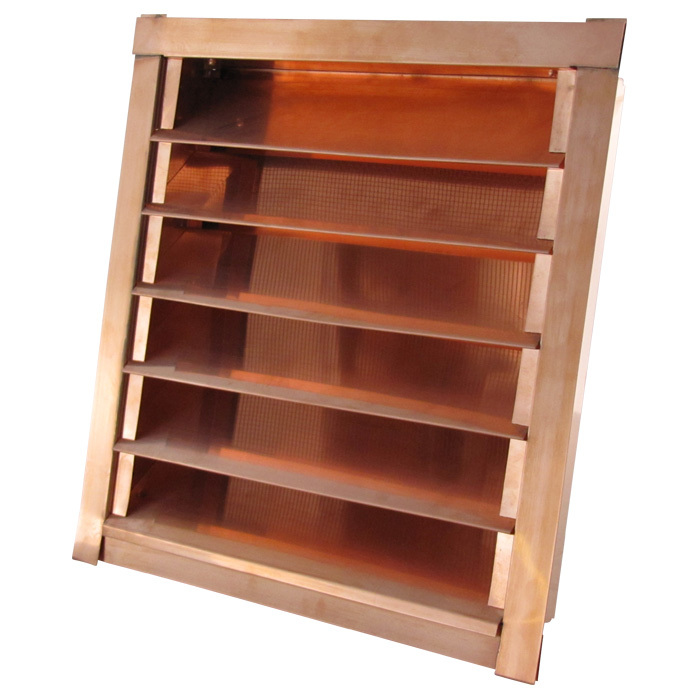 Our gable vents are constructed in galvanized steel, stainless steel, copper and special ordered.